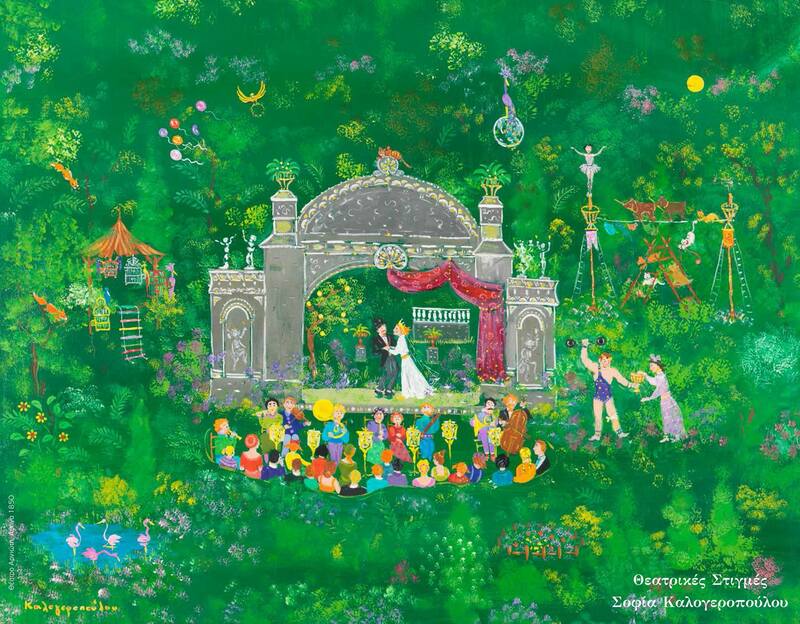 Sophia Kalogeropoulou, is well known to a wide audience for her painting style. 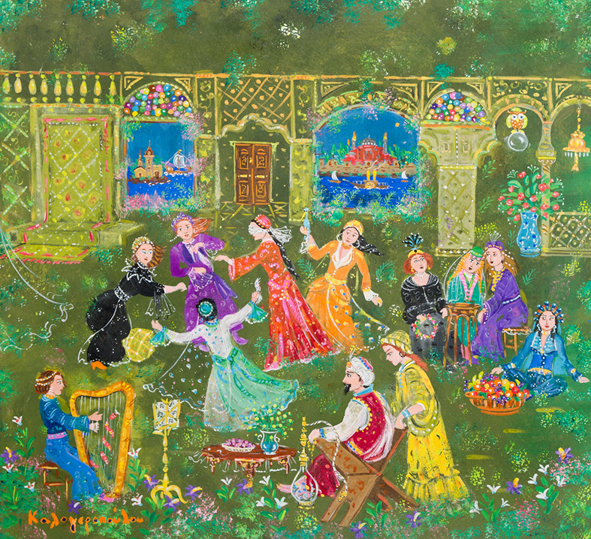 The painter adopts the Naif style, which is used to describe the work of self-taught artists, for its directness and genuine, natural expression. 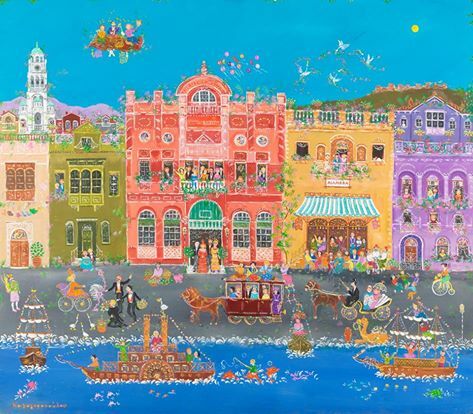 Like children, she releases her endless imagination on canvas and creates images full of colour, that are reminiscent of folk art embroidery. She expresses herself in a surrealistic way under the reassuring disguise of Naiveism, but at the same time expands into time until today and much further. The titles of her paintings convey the important role of narrative in Sofia Kalogeropoulou's work, as well as her positive view on life. Sophia was born in Athens, Greece, in 1946 and is a graduate of the American College of Greece (Pierce College). She has studied Law and Political-Economic Sciences at the University of Athens. She has studied also Music at the Athens Conservatory and at the Studio of the Vienna State Opera (Austria). She appeared as a soloist in the Vienna State Opera (1976-77). 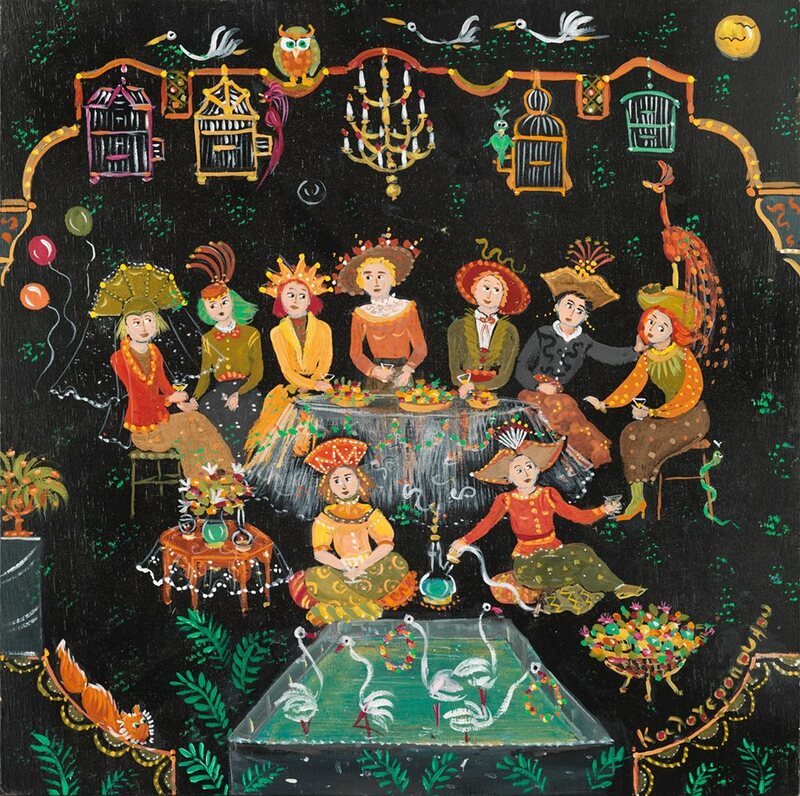 In the art of painting, she is self-taught, and has participated in many art exhibitions in Greece and abroad (Italy, France, Spain, Germany, Japan, Sweden, Switzerland, Israel, Turkey, USA). 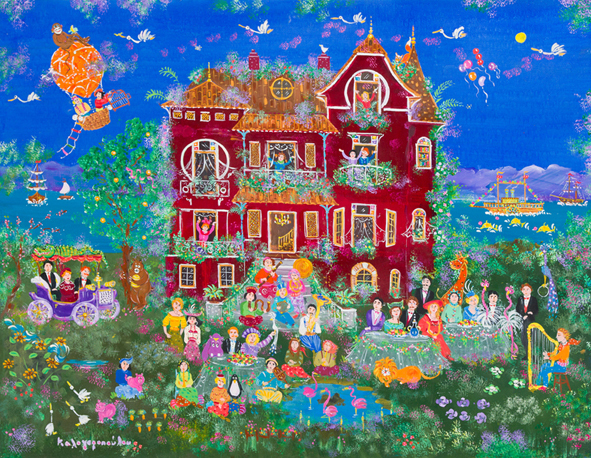 She is a collaborator of the "Gallery Naifs and Primitifs" in Paris. She is married to the composer-musicologist Takis Kalogeropoulos and she has two daughters: Dione and Daphne.